With firm commitment to quality, our organization is manufacturing, supplying and exporting a wide array of Ceramic Machine. These products are fabricated using premium quality ingredients and other allied material sourced from trustworthy vendors of the industry. This range is highly applicable in numerous industries and is widely appreciated by our customers for their high durability, excellent performance and easy installation. Customers can avail customization facility from us in accordance with their given specifications. We are dealing in manufacturing and supplying of a vast array of Agitator Machine that are available at industry-leading prices. Used mainly for keeping casting slip continuously stirred to avoid the settling of the slip at the bottom, these agitators are fabricated utilizing optimum-grade raw-material obtained from some famed vendors of the industry. 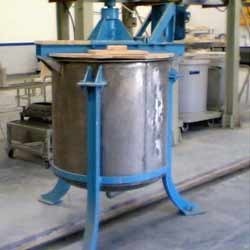 Available with us is a wide range of Pot Mill that is commonly used grinding different type of material in numerous industries. This range of mill comprises of porcelain pots in two rows that are fitted with rubber lined lids. Our products are precisely engineered by dexterous professionals who ensure that they adhere to the laid industry parameters. 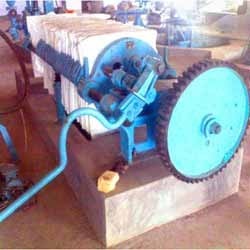 Furthermore, the offered mills undergo a strict quality check to ensure smooth running and operation. To suit the variegated requirements of our customers, we are manufacturing and exporting a qualitative range of Screw Blunger. Offered range is mainly used for dissolving and churning of ceramic slurry / slips and glaze after completion of ball milling operation to keep the ground ceramic materials suspended in water. Fitted on a hexagonal Masonry Vat, this range of blunger is specially designed using highly advanced techniques and machinery. Besides, we are capable of fulfilling the urgent and bulk requirements of our clients in a timely manner. 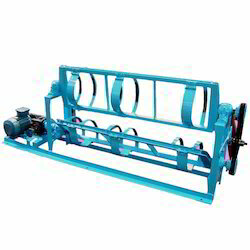 Leveraging on our years of experience, we have been able to manufacture, supply and export premium quality Filter Press. 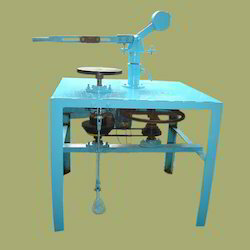 Used basically for making filtering cake from the slurry through diaphragm pump, these presses are made using quality-approved raw material which is procured from certified vendors of the industry. We are a distinguished firm engaged in manufacturing, supplying and exporting a wide range of Toggle Presses. Specially designed by our deft professionals, these machines are basically used for making electrical goods. Offered presses are designed in tandem with the industry laid standards and guidelines to provide a highly reliable range. To meet the versatile demands of our clients, we manufacture these presses at very large scale in diverse specifications. 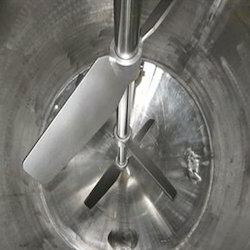 For meeting the versatile requirements of our respected clients, we are engaged in offering a gamut of Universal Jigger and Jolley. We design and develop all our products using high-grade raw material and latest technology to ensure their adherence to international quality standards. Backed with technologically updated infrastructure, our experts design these machines in different specifications. 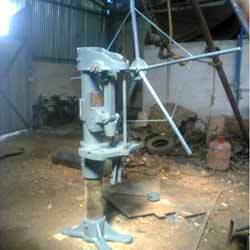 Additionally, we offer customization facility to our customers to meet their exact needs and requirements. Looking for Ceramic Machine ?